Tochiozan garde la tête du classement après sa victoire sur l’ôzeki Takayasu. Tochiozan a battu l’ôzeki Takayasu et a remporté sa cinquième victoire consécutive, prenant la tête du tournoi après le retrait de Kisenosato. En l’absence de yokozuna dans cette compétition, Tochiozan partage la tête avec le komusubi Takakeisho. Les deux lutteurs sont à la recherche de leur premier titre. Kisenosato a annulé son combat du jour prévu contre Tamawashi (3-2). Le yokozuna s’est retiré en début de journée, déclarant une blessure au genou après quatre défaites consécutives, le pire début pour un yokozuna depuis 87 ans. Lors du dernier match de la journée, Tochiozan et Takayasu, qui étaient tous les deux invaincus, ont eu du mal à prendre le dessus. L’ôzeki a obtenu sa première opportunité en conduisant Tochiozan jusqu’au bord, mais le maegashira a survécu. Tochiozan a répliqué mais Takayasu a résisté au centre du dohyô. 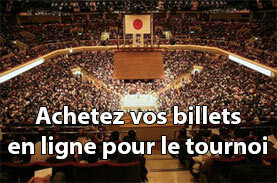 Tandis que la pression montait, Tochiozan a rassemblé toutes ses forces pour projeter Takayasu vers sa première défaite. L’ancien sekiwake Tochiozan, âgé de 31 ans, a déjà battu les deux sekiwake, deux des trois ôzeki, et a offert à Kisenosato sa quatrième défaite consécutive mercredi. Tochiozan a remporté 20 des 27 combats livrés contre Takayasu. Takakeisho reste également invaincu après avoir battu le sekiwake Ichinojo (1-4). Le Mongol a tenté d’utiliser ses 227 kg pour dévier le komusubi, mais a finalement été déséquilibré. Dans leur premier combat en première division, Nishikigi (1-4) a battu l’ôzeki Goeido (2-3) pour enregistrer sa première victoire du basho. Goeido cherchait une victoire facile en tentant de ramener le maegashira 3 vers le rebord. Mais Nishikigi a rapidement verrouillé ses bras, tournant sur le bord et jetant l’ôzeki sur le dos. Hokutofuji (3-2) a été étonné de vaincre l’ôzeki Tochinoshin pour la première fois en trois rencontres. 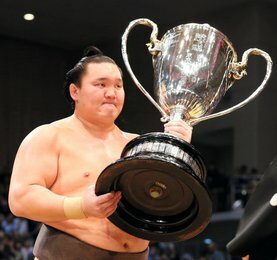 Hokutofuji avait remporté son cinquième prix « kinboshi » en battant Kisenosato le troisième jour. Kaisei (1-2-2) a battu le sekiwake Mitakeumi (2-3). Le komusubi brésilien a pris part à la compétition à partir du troisième jour en raison d’une blessure mineure à la jambe. Kaisei a contrecarré la charge initiale de Mitakeumi, puis a entraîné son adversaire sur le côté opposé pour remporter sa première victoire. Cinq lutteurs ont un score de 4-1, il s’agit de Chiyotairyu, Abi, Daieisho, Onosho et Daiamami. Kotoshogiku est tombé à 3-2 après avoir perdu contre Abi. Shohozan (2-3) a quant à lui été vaincu par Daieisho. Rank-and-file wrestler Tochiozan beat ozeki Takayasu and earned his fifth-straight win Thursday, taking the spotlight at the Kyushu Grand Sumo Tournament following the withdrawal of Japanese grand champion Kisenosato. With no remaining yokozuna in competition, Tochiozan shares the lead with komusubi Takakeisho one-third of the way through the 15-day tournament at Fukuoka Kokusai Center. Both wrestlers are seeking their first top-division title. 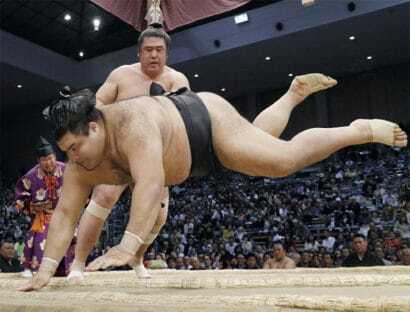 Kisenosato forfeited his scheduled Day 5 bout against No. 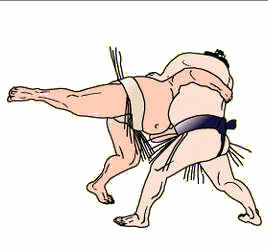 2 Tamawashi (3-2). The 32-year-old grand champion withdrew prior to the day’s bouts citing a knee injury after posting four-straight opening losses, the most by a yokozuna in 87 years. 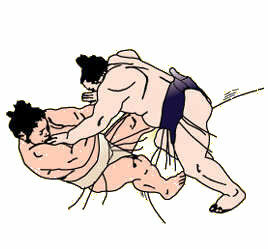 In the day’s final bout, Tochiozan and Takayasu, who both entered the match undefeated, struggled to gain the upper hand. The ozeki got the first opportunity by driving Tochiozan to the edge, but the maegashira circled out of harm’s way. 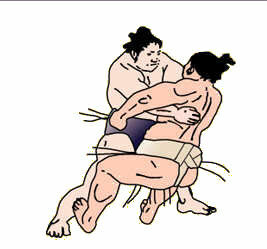 Tochiozan retaliated but Takayasu resisted and forced a standoff in the center of the raised ring. With the pressure mounting, Tochiozan mustered his strength and countered with a mighty underarm throw, heaving Takayasu out to his first loss. The 31-year-old Tochiozan, a former sekiwake, has already beaten both sekiwake, two of the three ozeki and handed Kisenosato his fourth straight loss on Wednesday. 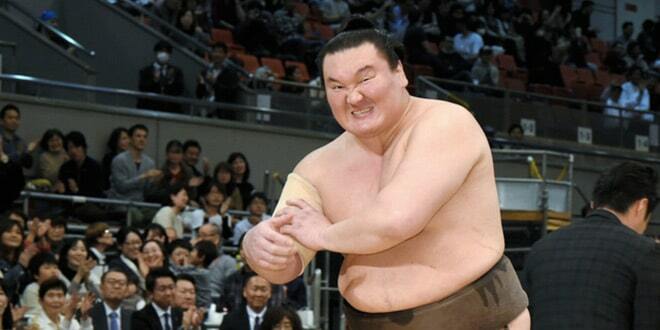 Tochiozan improved to 20-7 against Takayasu. Takakeisho also remains undefeated after beating sekiwake Ichinojo (1-4). 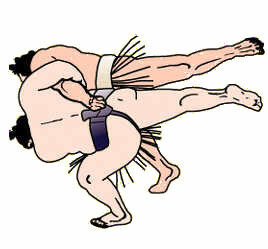 The Mongolian attempted to use his 227-kilogram frame to deflect the komusubi’s shoves, but was eventually pushed off balance and out of the ring. 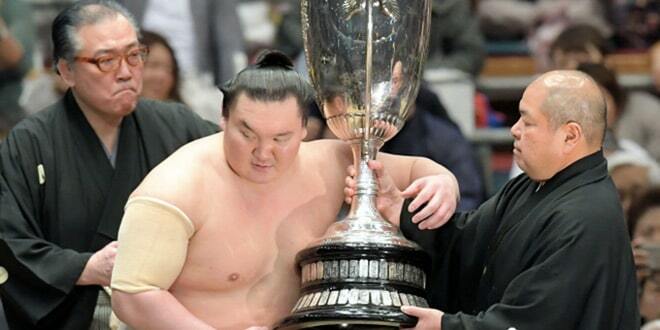 In their first top division bout, Nishikigi (1-4) beat ozeki Goeido (2-3) to record his first win of the tournament. Goeido was looking for an easy push-out win and attempted to drive the No. 3 maegashira back towards the straw. 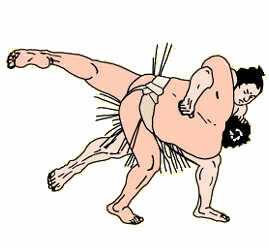 But Nishikigi quickly manufactured an underarm lock, spinning at the edge and throwing the ozeki onto his back. Top-ranked maegashira Hokutofuji (3-2) produced another Day 5 upset by beating ozeki Tochinoshin for the first time in their three top-level meetings. 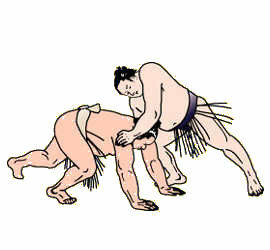 Hokutofuji, who earned his fifth « kimboshi » prize for beating Kisenosato on Day 3, denied Tochinoshin his favored belt hold and kept the Georgian upright. 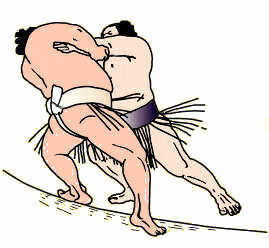 When Tochinoshin switched gears and attempted to pull down his opponent, Hokutofuji landed a well-timed lunge and drove Tochinoshin over the straw. 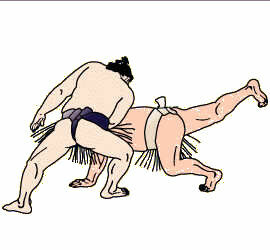 In the day’s first upper rank match-up, Kaisei (1-2-2) defeated sekiwake Mitakeumi (2-3). The Brazilian komusubi entered the meet on Day 3 due to a minor leg injury. 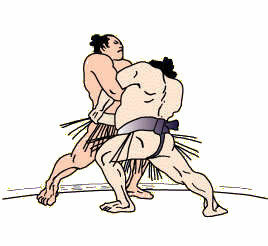 Kaisei thwarted Mitakeumi’s initial charge and rebounded at the edge of the straw, driving his lighter opponent out at the opposite side to pick up his first win. Five rank-and-filers stand one win off the pace after Day 5, including No. 5 Chiyotairyu, No. 7 Abi, No. 9 Daieisho, No. 13 Onosho and No. 15 Daiamami. Former ozeki and hometown favorite Kotoshogiku, currently ranked No. 9, fell to 3-2 after losing to Abi. No. 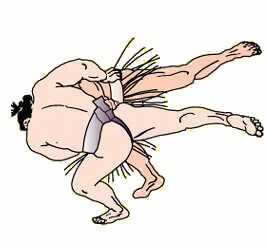 7 Shohozan (2-3), a fellow Fukuoka native, was beaten by Daieisho. 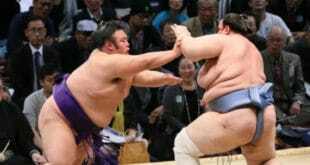 Effectivement ça sent la fin pour Kisenosato…super Ozeki mais Yokozuna médiocre certes avec des blessures ! A l’image de Kaio il aurait mieux valu rester Ozeki performant mais bon on refait pas l’histoire. Kisenosato a été un superbe Ozeki. Mais il ne m’a jamais convaincu comme Yokozuna. Je pense que c’est la blessure de trop. Son corps ne me semble pas en état de supporter des combats particulièrement difficiles oú un Yokozuna doit trouver en lui des ressources que les autres n’ont pas.